Mumbai, 31st January 2017: Kalinga Lancers overpowered the table toppers Dabang Mumbai to beat the home team 4-3 in a nail-biting encounter here at the Mahindra Hockey Stadium. This was Dabang Mumbai’s first loss in the fifth edition of the Coal India Hockey India League and the man to dent their successful run was Moritz Fuerste with his 32nd and 33rd minute goals to comeback from a 0-2 deficit. Glenn Turner’s 40th minute field goal ensured they sealed the match. 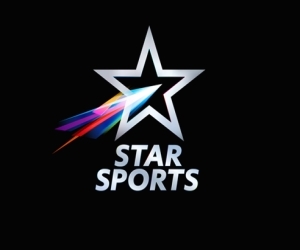 Kalinga Lancers vying for a win, after having lost to Uttar Pradesh Wizards in their previous encounter, opened the game patiently, rotating the ball between themselves waiting for an opening into the Dabang Mumbai’s defence. Despite the several circle penetrations, it took till the 8th minute for the first real chance to materialise, as the visitors won the first PC of the game. The opportunity went amiss though, as Billy Bakker tried an improvised variation from the injection, but his attempt was blocked away by the home team’s defender David Harte. The following minutes into the first quarter saw both teams make several forays into the circle in a bid to convert the chances but it was not meant to be, they went into the first break in a 0-0 deadlock. A brilliant opportunity to take a 2-0 lead came in the 16th minute for Kalinga Lancers when Lalit Upadhyay racing into the circle found their team’s most successful striker Glenn Turner but unfortunately the lanky Aussie forward could not get his stick onto the ball to unleash a shot on the goal. They missed out another chance and this time it involved their Captain Moritz Fuerste who failed to capitalize on a good assist from Aran Zalewski. 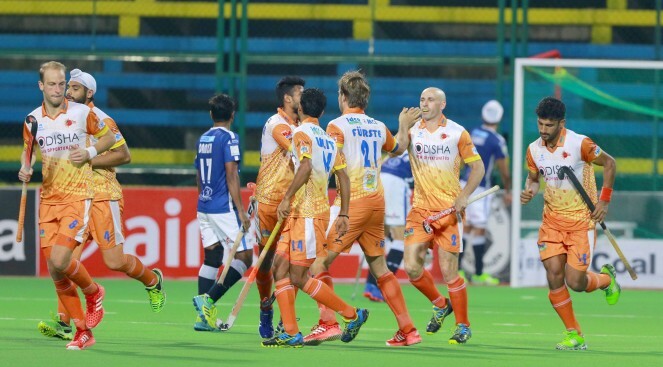 Dabang Mumbai, however, weren’t sloppy when it came to making the opportunities count when their team won a penalty stroke after Kalinga Lancers defender Amit Rohidas obstructed Robbert Kemperman in the striking circle. Ace drag flicker and Junior World Cup hero Harmanpreet Singh was trusted with the job and he rarely disappoints. The 21-year-old found the top corner with a splendid strike to fetch his team a 2-0 lead in the 27th minute. Only seconds before the half-time hooter, Dabang Mumbai had a chance to take the lead to 3-0 when they won a PC, but failed to convert, thanks to a good show of defence by Kalinga Lancers. Minutes into the third quarter, Dabang Mumbai conceded a PC through Sander De Wijn in the 32nd minute, and Moritz Fuerste made sure they converted this chance taking the score to 2-1. Kalinga Lancers kept up the pressure and secured another PC in the 33nd minute and this time German Moritz Fuerste brought his team back into the game as he equalized with a perfect dragflick. The frenetic third quarter saw both the teams trading penalty corners, but both teams failed at making a successful attempt. Glenn Turner, however, found his rhythm again when he put one past David Harte in the 40th minute after a good assist from young Anand Lakra from the right flank. This took Turner’s personal score to six goals this season and earned his team a 4-2 lead. As per the new Regulation, a field goal counts as two goals and this helped Kalinga Lancers double the lead. Dabang Mumbai stayed in the hunt though with a splendid goal by Harmanpreet Singh off a rebound when they won a PC in the 43rd minute. However, they continued to trail 3-4. The final quarter saw some tense moments with both teams pressing hard but it was Kalinga Lancers who made the first break through when Moritz won his team a PC. Gurjinder Singh was the one to take the strike this time, but was defended exceedingly well by the Dabang Mumbai custodian. Kieran Govers created a PC for Dabang Mumbai after a foot foul by Aran Zalewski in the 55th minute. A brilliant save, however, by Andrew Charter and good defending by SK Uthappa ensured Kalinga Lancers stayed in contention to win. The last five minutes was unnerving for the Mumbai spectators but the home team failed to make a comeback in the last minute unlike their previous matches. Moritz Fuerste from Kalinga Lancers was awarded with a prize money of Rs 50,000 for scoring the Coal India Goal of the Match from Dr Sanjay Kumar, Director Personnel, Western Coal Fields Limited. Harmanpreet Singh from Dabang Mumbai won the prize of Rs 25,000 for being the Hero Young Achiever of the Match from Mr. Anil Aldrin, Olympian. The Airtel Most Entertaining Player of the Match was awarded to Billy Bakker of Kalinga Lancers that came with a prize money of Rs 25,000 and presented by Mr. Ram Singh Rathor, Secretary, The Mumbai Hockey Association Limited. Moritz Fuerste, Captain of Kalinga Lancers was declared the Man of the Match and was awarded a prize money of Rs 50,000 by Mr. Saumya Khaitan, CEO, Dabang Mumbai Hockey Club.